When you went off on your own and launched your mutual fund marketing, you thought you had all your ducks in a row. You built a website, got some gold-embossed business cards printed, and made sure your parents told all their friends about your new venture. As you may have learned, though, that’s not enough. You need to attract clients through content that addresses their unique needs and frames your business as reputable and credible. Create the right content, and you’ll find yourself building your mutual fund brand while bringing in qualified prospective clients. And these formats are just the tip of the content iceberg. You can repurpose content across the web and on social media in different forms; it’s all about creating original content that your clients and target prospects find valuable and helpful. Stop right there, though—don’t run off at this point and start churning out tons of content at breakneck speed…there’s more. Behind your content creation should be a content strategy (our third party marketing firm can help with that) and a commitment to content planning. Why is planning your content so important? It gives every piece of content a purpose: Content marketing isn’t just about throwing a million different blog posts, videos, and ebooks out into the online world and hoping something sticks. 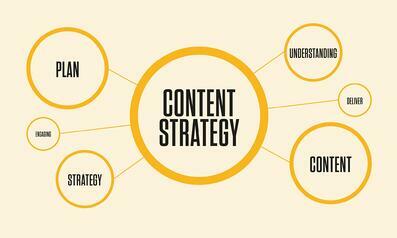 Each piece of content should tie into your larger strategy and have a measurable goal behind it. Planning your content on a monthly, quarterly, or even yearly basis allows you to create proactively versus reactively. You’ll always reach your target audience: Your content marketing strategy should include “buyer personas,” which encompass the types of people that make up your mutual fund’s target audience. Each piece of content you create should have one or more buyer personas in mind, and those personas should be listed in your planning documents. Because variety is the spice of life: Your content marketing strategy should have a good mix of the different types of content listed above because your prospects all consume content in different ways as well. If you only write blog posts, you might be missing out on some key new clients that are more visual learners and prefer videos or infographics. By creating a content plan, you can be sure that you’re prepared to develop content in varying forms and have set aside the time to do so. Brainstorming bold new content ideas is fun (or at least it is for the team at Havener Capital), but when you’re growing your mutual fund business, the content strategy and planning side of things can often take a back seat. If you want your firm to rise to the top and have a chance at beating out the competition, you may want to think about outsourced content marketing to supplement your efforts. Are you frustrated with your current content marketing efforts? Tell us about what’s keeping you up at night in the comments below!